Everyman Barbers on Sadler Gate is the perfect hub for men offering a comprehensive list of authentic barbering services, including haircuts, beard trims, and traditional wet shaves. They also serve free beer. 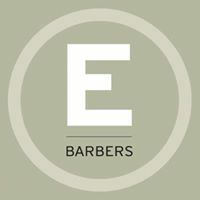 Everyman Barbers is one of the UK’s leading barbershops and offer 20% on all services with the Cathedral Quarter Loyalty card. They also offer discounts to local businesses, students, and individual customers through various schemes. If you and your colleagues want 20% off all services (Monday – Friday) then drop them an email and they’ll happily sign you up. Students in Derby can get 20% off (Monday – Wednesday)…and everyone else can download their app, collect 6 stamps and get 50% off the sixth cut, and £5 off a professional hair product.